Street Soccer 658 was founded in 2004 at the Urban Ministry Center in Charlotte, NC as the nation’s first year-round, life-skills based soccer program for individuals experiencing homelessness. In 2017 Project 658 became the new home for Street Soccer and the program was re-branded as Street Soccer 658. It is recognized as the founding program for Street Soccer USA, a network of 16 similar programs across the United States. Through our sport-for-development platform, we believe that meaningful social change can be enacted not just at the policy level, but also in individual people’s daily lives. Therefore, Street Soccer as an organization is dedicated to meeting our players where they are in life, providing a reliable outlet, reinforcing positive behavior, and building a supportive network within the communities we serve. Our ultimate goal is to effect sustainable, long term change in the lives of our players. 1. We engage at risk youth and adults and use team sports to build trust amongst our team and the community at large. 2. We evaluate our players needs through a rubric evaluation process in order to create best practices for the issues specific to each player we serve. 3. We hold players accountable and empower them to achieve their goals. 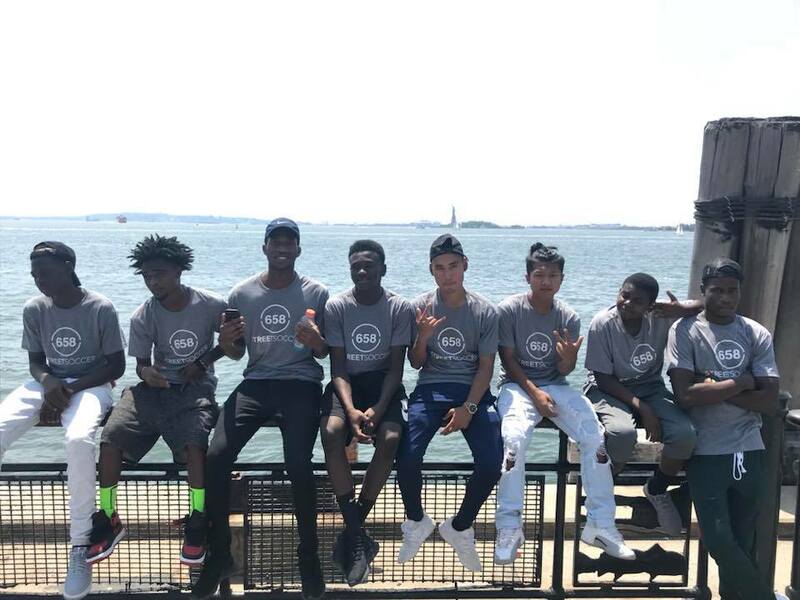 This first class tournament honors the efforts of the refugee and homeless Street Soccer players from across the East Coast, while also serving as a catalyst for building community, creating hope and a positive outlook on life, and fostering energy for our players to achieve long term goals. The event will spotlight the sport for social change organizations in our local community, and the city’s efforts toward alleviating homelessness and poverty. In addition to the Street Soccer aspect of the tournament, we will also be hosting a Corporate Cup to engage with top professionals and an Open Cup to welcome all types of community members into tournament play. We invite every level of skill to join the tournament and participate in a weekend full of meaningful entertainment and competition. them to be lifelong ambassadors and advocates for Street Soccer and the disadvantaged. •To be recognized as one of the preeminent sport for social change events in Charlotte, NC and aid in the growth of awareness for Street Soccer 658 and the Project 658.
members of the Street Soccer 658 family. enable us to execute successful Street Soccer events in the future. •To ensure the safety and comfort of all participants. •To create an environment that fosters fair-play, fellowship, and goodwill.